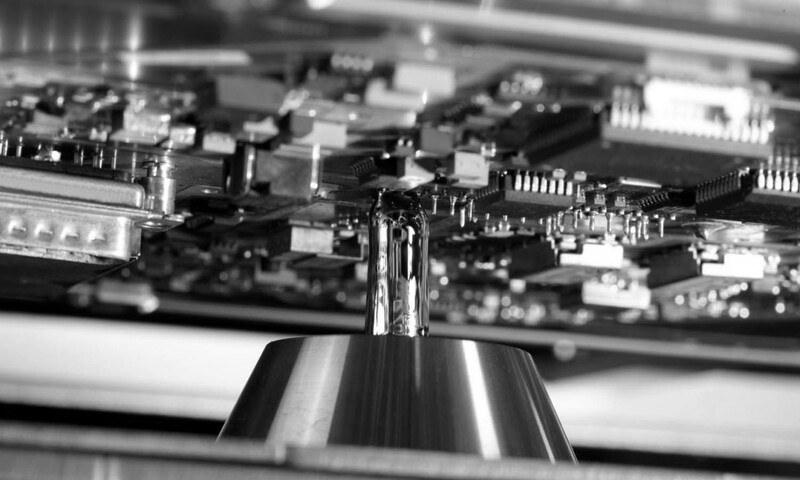 Selective soldering primarily is dedicated to THT components. This technology provides the highest standard of soldering approved for automotive, medical and military. Basically there is a selective flux deposition and nozzle that produce a small soldering spot (~3x3mm) on PCB assisted by Nitrogen atmosphere. Thanks to small amount of soldering agent there is a small energy and Nitrogen consumption and environmental friendly technology.